Jenelle Evans has made a name for herself over the past eight years for being Teen Mom’s resident… well, train wreck. For whatever reason, Evans’ parenting missteps, drug issues, and questionable boyfriends have always seemed worse than the other Moms at any given time. Over the past year or so, Jenelle has succeeded in getting her life together – buying a home, having her third child, getting engaged, staying clean — but that doesn’t mean there will stop being drama from the Evans family. It turns out that her siblings are just as wild/dramatic/troubled/controversial as Jenelle. Jenelle Evans’ journey on 16 and Pregnant and Teen Mom 2 has been quite amazing to watch. The young mother has gone through a lot over the years and all on the small screen with millions of people watching. One of the most notable aspects of her story has been the involvement of her mother, Barbara, who has become a staple in the Teen Mom-verse in her own right. But it turns out that Babs isn’t the only other member of the Evans clan. If you’re a casual fan of the show, you might have missed the fact that Jenelle isn’t an only child. 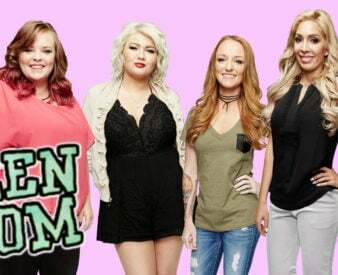 The Teen Mom 2 star actually has two siblings — a sister and a brother — who have barely appeared on the show during its run. And according to what we can find… They’ve got some problems of their own. Apparently, Jenelle came by all of her struggles very honestly. First, there’s the brother, Colin, who — admittedly — we know very little about. We know that he’s had some past trouble with the law, much like his famous sister, and we know that he’s struggled with legitimate, diagnosed mental health issues throughout his life. It’s hard to find full sources on him, but the accepted story is that the lack of information is due to the fact that he’s currently in an in-patient facility, getting treatment for schizophrenia. There’s also a rumor going around the Internet that he has no arms. No idea where it came from, but I don’t think it’s true. But, that’s the story and how could I not include it? Wait — Jenelle has two siblings?